At first I must give big honour and respect to French radio stations!! They are clearly market leaders in Europe to make radios sound excellent!! The jingles and programme productions are magnificent, ingredible, creative and unique. All other countries are far, far behind French radio production. I wonder why?? Because of language - or competition? MY 2nd QSL from Corsica!! Fréquence Jazz (now "Jazz Radio 2"). I heard this station on 88.7 MHz with local announcement: "Fréquence Jazz á Bastia sur 88.7". They have two transmitters on this frequency and both are in Corsica. Vivre FM is a station for handicap people in Paris on 93.9 MHz !! Must be unique in the world!!! Radio Fidélité is community and christian radio station in Nantes area (Dep. 44). I heard this station 3 years ago on 89.5 MHz. This frequency in now changed and not in use anymore. Station runs mainly by donations (70% of incomes are donations)! RCF Anjou is a local station in Angers (Dep. 49). Part of the largest French Christian FM-radio network RCF (Radios Chrétiennes Francophones). I have heard their local programme two times on 88.1 MHz. Radio Tempo (Dep. 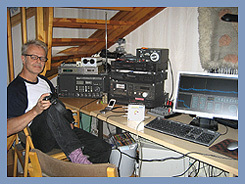 29 / 101.2 MHz) is one of the most East FM-station in France. It is located in NW of Bretagne with two transmitters around Brest and Morlaix. They have very exotic looking office! There are at least three Jazz-formatted FM-networks in France. I have heard two of them. TSF Jazz has confirmed my reception from last summer. I heard their Laval-relay (Dep. 53) on 97.7 MHz, between Le Mans and Rennes. 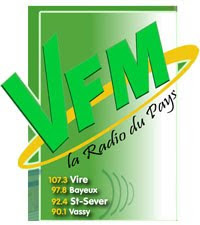 VFM from Vire (Dep. 14 / 90.1 MHz), is a provincial station in North Bretagne, under English Channel. It is nice to see that there are lively local stations alive in France! I got a quick e-mail from the station for my mp3! 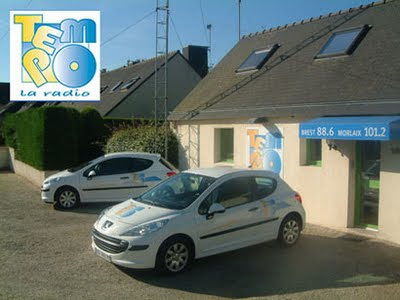 Sweet FM, private commercial radio around Le Mans and Alencon, (Dep. 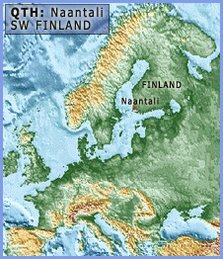 72,61 / 95.8 MHz) gave nice replies from many people from the station. This seems to be a big station with many activities. Radio Accords from Poitiers (86 / 89.3 MHz) is a religious station in midwest France. Programme director Mr. Lachen confirmed my mp3-clip to be from their programme. They have even 6 tx's around Poitiers and Niort - and even over 100 people making programmes. "That is right, it is our program ! That is incredible ! The distance between you and our transmitter is huge ! In july 2007, our apparent power was 1KW. Thank you very much for this document ! Have a nice day, Guillaume, Fréquence Horizon". "Votre message nous a fait plaisir. 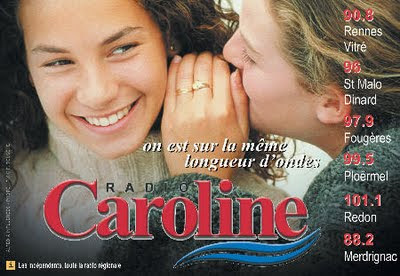 Je vous confirme qu'il s'agit bien de RADIO CAROLINE en Bretagne". Another nice reply from Bretagne: SUN (Le Son Unique à Nantes) (Dep. 44 / Nantes, 93.0 MHz). This station is located in Nantes. "Bonsoir, Je vous confirme que c'était bien SUN* (Le Son Unique à Nantes) que vous avez capté. Il s'agit bien de nos jingles de l'époque ;-)". 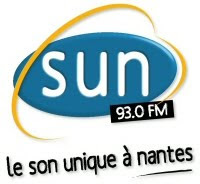 "SUN - Unique Sound In Nantes" in the name of this station today. The most exotic reply from France was Radio Salam from Lyon. This is Arabic language station in Lyon (Dep. 69 / 91.1 MHz) !! Mr Ali Abed, Président de Radio Salam e-mailed me short confirmation to my report: "Bravo et j'espère que vous allez rester fidèles auditeurs de notre radio." Very kind replies from France.